(SALEM, Ind.) – It’s been a big year for the number 15 in the ARCA Racing Series presented by Menards. Fifteen-year-old Kyle Benjamin won his second race of the season Saturday, winning the Kentuckiana Ford Dealers ARCA Fall Classic presented by Federated Car Care at the Salem Speedway Fueled by the Hoosier Lottery. Benjamin, fittingly, was driving the No. 15, which has now visited victory lane six times on the season for Venturini Motorsports. Benjamin grabbed the lead from fellow teenager Kyle Weatherman on lap 192 of the 200 laps race and held on for the win in the No. 15 Renton Coil Springs-Cometic Chevrolet. “I was hoping nothing broke and a caution wouldn’t come out,” the Easley, S.C. native said. Weatherman, in the St. Charles Glass-United Nissan Dodge, finished second for the second consecutive race. 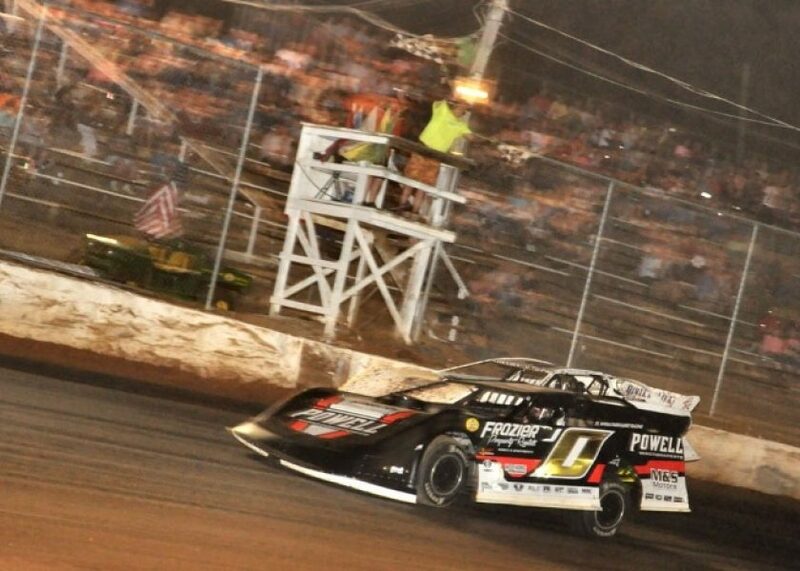 He took the lead from Benjamin on the last caution when the No. 15 pitted for two tires. Weatherman stayed on the track. Veteran Frank Kimmel finished third, battling back from a lap down, to gain yet another top five finish in the No. 44 Ansell-Menards Toyota. Ken Schrader, in the No. 52 Federated Auto Parts Chevrolet, was fourth, and Mason Mitchell, driver of the No. 82 Happy Cheeks Ford, fifth. Mitchell was the first car not on the lead lap. Weatherman said Benjamin got into him a little bit in turn four when he lost the lead. Driving for car owner Andy Hillenburg, Weatherman took the lead early in the race and built up a huge lead when the race stayed green from laps 33 to 116. He led 66 laps in all. Schrader said he made a mistake with setting up the race car. The three early race leaders all faded for one reason or another. Austin Wayne Self led the first 26 laps, and finished 10th in the AM Technical Solutions Dodge. Menards Pole Award presented by Ansell winner Justin Boston was strong early in the race, but transmission problems ended his day early. He led 19 laps and finished 23rd for Venturini Motorsports. Defending series champion Chris Buescher, in the No. 99 Reliance Tool-Roulo Brothers Racing Ford, also led 19 laps, but brake problems relegated him to the garage after 125 laps. Will Kimmel was in the top five until the last 20 laps of the race when troubles pushed him back to 12th place. Championship point leader Kimmel, by virtue of the win, won the Bill France 4 Crown championship, a four-race series within the ARCA Racing Series season that counts only points in a set of four diverse races. Salem Speedway was the short track leg of the series that includes a superspeedway race, road course and dirt track. Josh Williams, in the No. 02 Allegiant Travel Chevrolet, finished sixth. Trevor Edwards, a Shepherdsville, Ky. native and second-generation driver at Salem, finished eighth in his ARCA Racing Series debut. Mason Mingus entered the day as the SCOTT Rookie Challenge co-leader with Boston. The team had to change a motor after practice and fell several laps down early in the race. Mingus, in the 811 Call Before You Dig Toyota, however, rebounded for an impressive top 10 finish in his No. 32, which had a new paint scheme for the race. Benjamin, who won last month at Madison International Speedway to become the youngest race winner in series history, led a race-best 70 laps. He took his first lead after the second caution of the race, leading from lap 117 to lap 177. “As it got dark, it got really fast,” he said of his car. 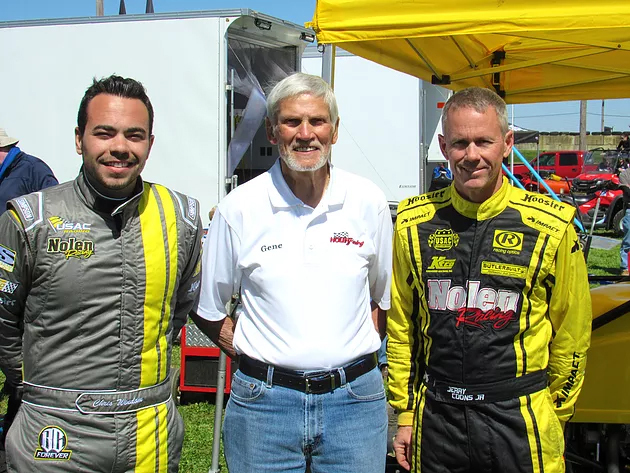 His age will prevent him from making another start in the series this season as the ARCA Racing Series finishes with races at Kentucky Speedway and Kansas Speedway.